Physical therapist Sharlynn Tuohy (right) guides a patient through strength-building exercises at our Sillerman Center for Rehabilitation. The time it takes to recover and heal after surgery varies depending on the type of procedure you have and whether local or general anesthesia is used. We’ll give you specific instructions regarding pain management, dietary restrictions, and physical activity (such as driving, showering, exercising, and lifting things) when you’re discharged from the hospital. You will also learn when and how to change your bandages and care for your surgical wound and any catheters used to drain fluid from the site of surgery, and what symptoms to watch for, such as bleeding and signs of infection or allergies. It’s important to follow these instructions carefully and to call your surgeon if you have any questions. We’ll make follow-up appointments for you to meet with your surgeon and a nurse specialist who will monitor your ongoing recovery and help you manage any side effects you experience. Fortunately, advances in technology and surgical techniques have reduced the degree of side effects from surgery, which vary depending on the type and location of your cancer, the type of surgery you have, and your overall health. We’ll help you understand all of the benefits and risks of your operation in advance, and what can be done to help relieve or manage any side effects you may experience. Pain management is an essential part of cancer care at Memorial Sloan Kettering. Our experts are committed to providing pain relief and improving quality of life for patients throughout the course of their cancer treatment. They will help you recover from surgery by managing your pain after the operation as quickly and effectively as possible, both while you’re in the hospital and after you’ve gone home. Helping you recover after your operation is one of our top priorities. We also have rehabilitation services to help you regain your strength, mobility, and functional independence after surgery. Our physiatrists, physical therapists, respiratory therapists, occupational therapists, and other rehabilitation specialists can help you regain strength and get back to your activities as quickly as possible. They’re available to help with everything from breathing and speech problems to lymphedema and rebuilding muscle strength. 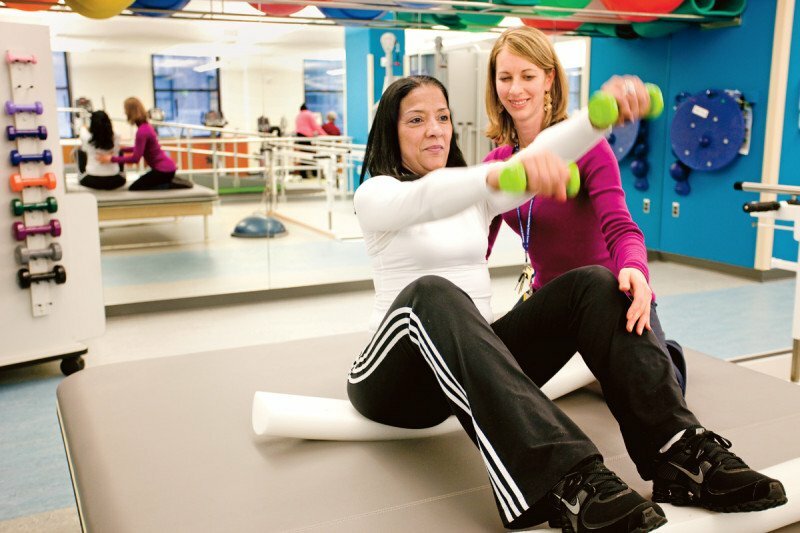 The occupational and physical therapists who staff Memorial Sloan Kettering's physical rehabilitation department have special expertise in the care of patients with cancer.